The Great Kitchen Project Begins! After many years of saving we finally have amassed enough to finance a nice redo to our condo’s kitchen. There will also be new flooring installed through most of the rest of the place but the kitchen is the focus. 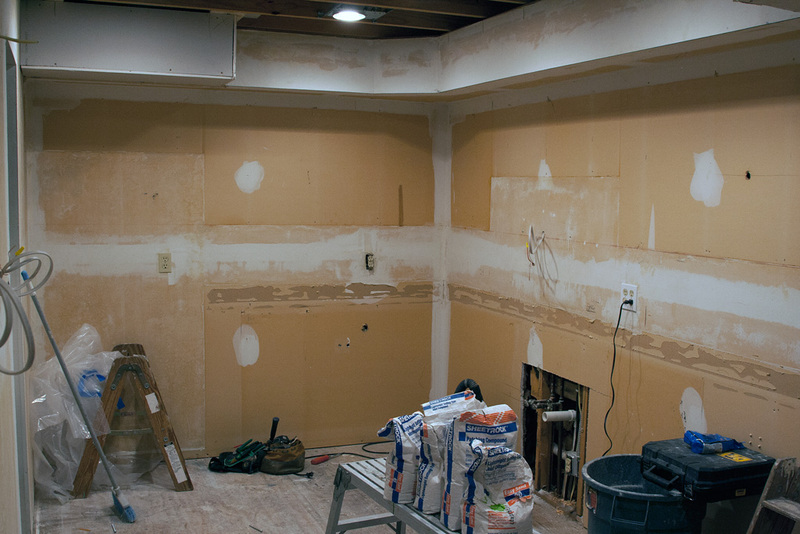 Today, promptly at 8:00, the contractor arrived and began the demolition phase. With a minimum of commentary, here are a few photos of what transpired this first day…. 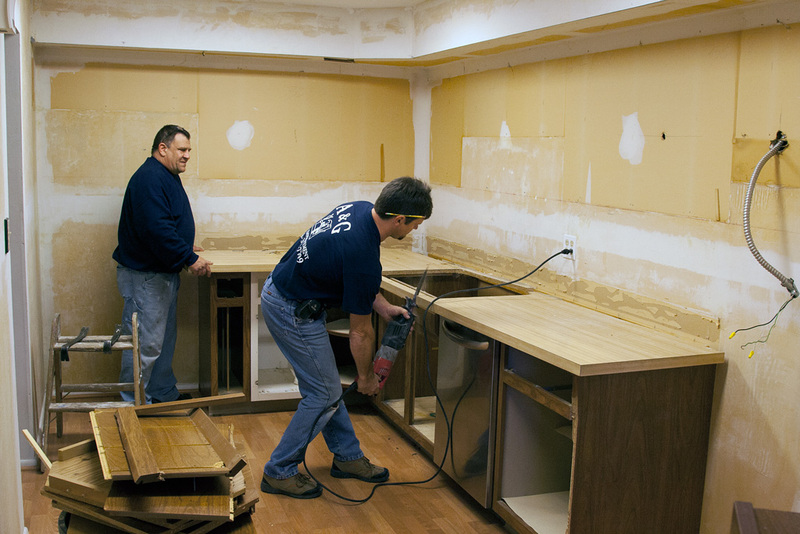 Two big guys and a Sawzall tear into the base cabinets. Yes, the dishwasher was saved for reuse! The ceiling comes down pretty easily. 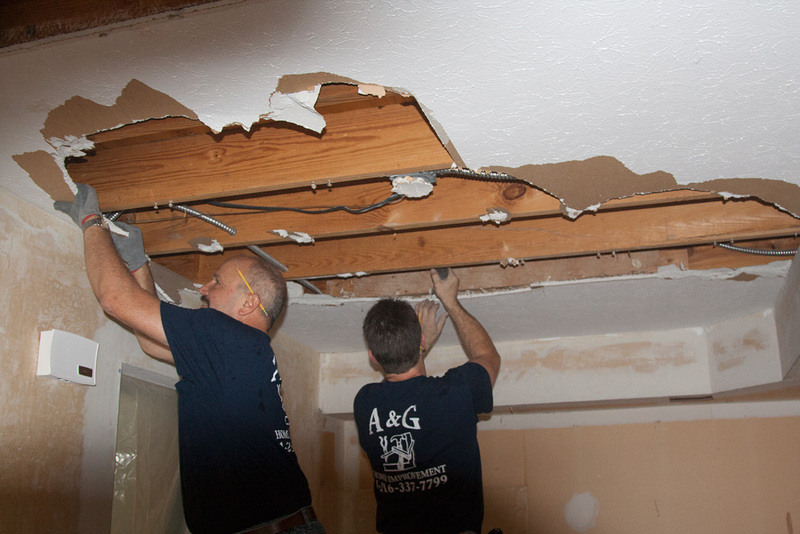 The ceiling was hiding a nasty surprise — the original builder hacked a big hole in a joist to accommodate an electrical conduit. Our guys fixed it. Hmmm… the plans say to move the drain eight inches to the right. 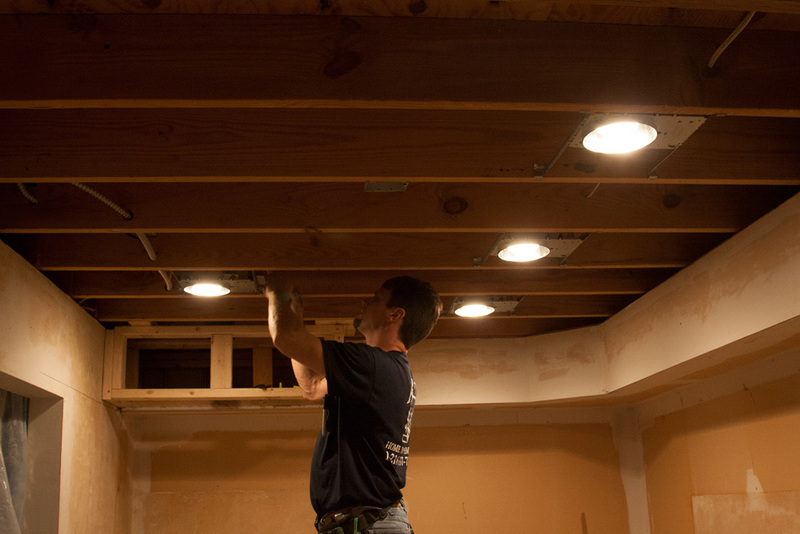 Old shop lights gone, new recessed lighting goes in. It will be a bright workspace! At the end of the day, new lights in place, new power cables pulled, ready for a new ceiling! Good Luck! We just finished a redo in our Master bath. Started out as a little job of a leak, then complete shower had to be replaced, toilet, baseboards, ceiling light replaced and then oh what the heck, let’s get new carpet for bedroom. $4000 and two weeks later all is finished. Sad part is that this was all done new when we moved in here. Can’t wait to see your pictures when completed. 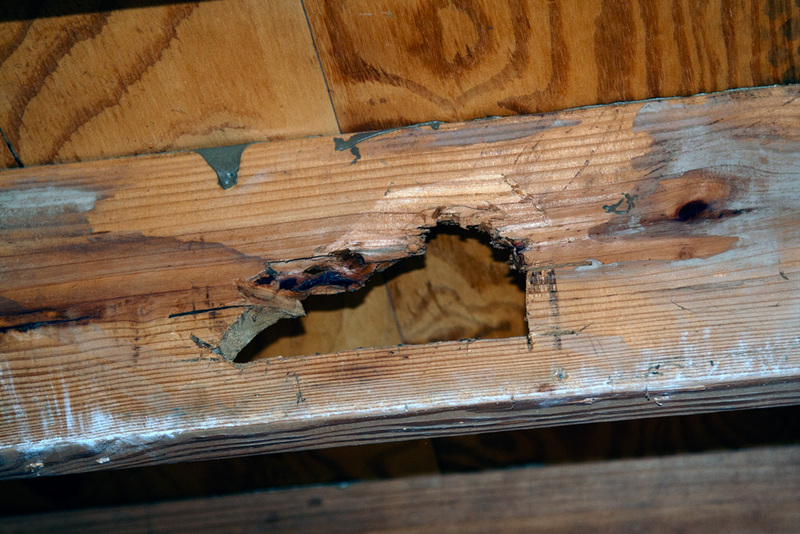 While the guys were here they used the half-bath enough that it revealed a leak in the wax ring seal. The boss offered to change out the ring gratis. We took the opportunity to add the bathroom to the remodel (should have done that at the start). Now the floor in there is replaced and we have a new low-flush toilet!